Description...There is more to your home than what you’ve seen. There is a place you have never stepped foot in. Your home has an outside, an inside, and a side you didn't know existed: Dreamside! If you have a very healthy dose of curiosity and courage, you might be able to find it. In fact, on an afternoon not too many days ago, a young boy named Keaghan discovered the way in. 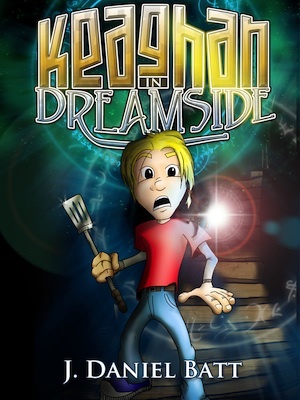 Join Keaghan on his fantastic journey through the strangeness that is Dreamside, a labyrinth world of magic he discovers inside his own home. Dreamside is a place of mystery and wonder, but also of great danger. During his adventure, Keaghan meets some very strange characters. But also wandering these twisting halls is a monstrous creature that has no intention of letting Keaghan find his way back out! A story of 8,078 words.